Increased Safety Breather Drains (also known as “Breather Vent Plugs”) are used in hazardous locations to allow the air inside of an enclosure to breathe with the surrounding atmosphere and also to allow any moisture that enters the enclosure to drain, or vent, while maintaining Increased Safety method of explosion (Ex) protection and overall integrity of the installation. Our breather drains are certified to ATEX, IECEx and AEx for use in Zone 1, Ex e applications. These drains are certified for Increased Safety use, but are not for use in Flameproof enclosures. In addition, CSA approval certificates can be supplied to cover use in North American and Canadian Class I Zone 1 Exe II applications. Like the Breather Plugs above, Flameproof Exd IIC and Explosion-proof Class I, Groups ABCD Breather Drains are used to allow the air inside of an enclosure to breathe with the surrounding atmosphere and also to allow any moisture that enters the enclosure to drain while maintaining the overall integrity of the installation. These breather drains are certified to ATEX, IECEx, CSA and UL standards. 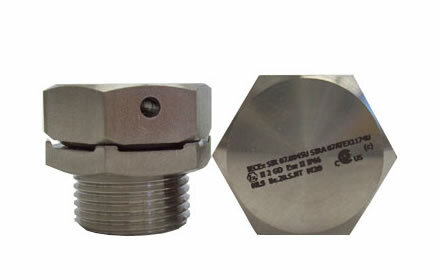 These breather vent plugs and drains are certified for use in Flameproof and Explosion-proof enclosures. 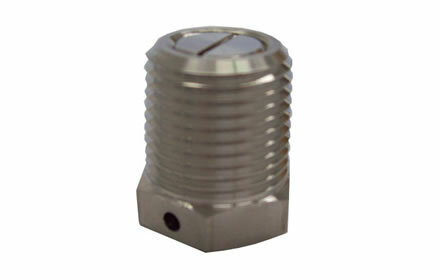 We offer both metric and NPT sizing for our breather drains plugs. Redapt DP-E Series of Breather Drains provide a method of preventing moisture build-up within a hazardous area approved enclosure whilst ensuring the integrity and Ex approval of the installation is maintained. Breather Drains are used to allow the air inside an ‘Ex d’ Flameproof or Class I, Division 1 Explosionproof enclosure to breathe with the surrounding atmosphere and also to allow any moisture that enters the enclosure to drain while maintaining the overall integrity of the installation. Please click here for Adaptors & Reducers.